Lake Alfred, Florida is a growing community located in the heart of The Sunshine State, nestled in a picturesque region of lakes and citrus groves. It is a wonderfully relaxed and safe place for you and your family to live and work and experience a great quality of life. As an incorporated city with a population of approximately 4,500, Lake Alfred has police and fire departments with ambulance services. The strong presence of civic organizations greatly enhances the family orientation of Lake Alfred. Local residents are welcome to join the Lion's Club, Masonic Lodge, or Friends of the Library. The Chamber of Commerce encourages all residents to participate in its events. As a group, all of these organizations sponsor community events such as Fourth of July Family Day, Community Day, Holiday Celebrations, and Business Expo. Recently, the extensive Chain of Lakes in this central Florida area have been reconnected with a refurbished canal between Lake Hartridge and Lake Rochelle and a new bridge on U.S. 17. The project is the result of a partnership between the Lake Region Boat Course (The Chain of Lakes), Lake Alfred, Winter Haven, Polk County and the Florida Department of Transportation. Lake Alfred now offers boating, fishing, and water sports. Some of the most popular activities among our residents are boating, fishing, water skiing and swimming. These activities can be enjoyed year round on our seven lakes, several with boat ramps and access to the northern Winter Haven Chain of Lakes. 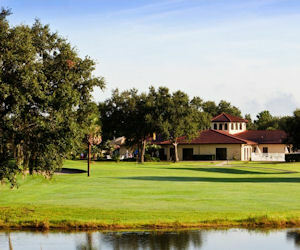 There are numerous 18-hole golf courses located within close proximity and a 9-hole golf course located at Cypress Greens. The above information can be found at the Lake Alfred Chamber of Commerce website. As a family oriented community, Lake Alfred provides 15 park facilities with over 172 acres of land for your leisure and enjoyment. These excellent recreational facilities include lighted tennis courts, shuffleboard, baseball and basketball courts. Information courtesy of The City of Lake Alfred website. As of 2004, the population recorded by the U.S. Census Bureau was 3,944. 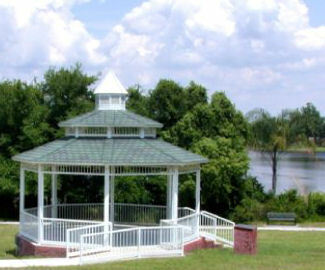 Lake Alfred is part of the Lakeland–Winter Haven Metropolitan Statistical Area. As of the census of 2000, there were 3,890 people, 1,511 households, and 1,103 families residing in the city. The population density was 793.6 inhabitants per square mile. There were 1,741 housing units at an average density of 355.2 per square mile. The median income for a household in the city was $36,809, and the median income for a family was $42,904. Information from Wikipedia. Lake Alfred is a proud business community with a mix of traditional retail/service businesses; industry; and the quickly growing antique shops, tea rooms; and specialty businesses. It has become a destination for those seeking to leave the city life for a while or for a lifetime. Lake Alfred offers the benefits of life in a wonderful small town, and with easy access to Tampa, north Lakeland, and southern Orlando attractions on the nearby I-4. Several Residential developments and new subdivisions are springing up inside the city limits and along the western portions of Lake Alfred near I-4. The older neighborhoods of Lake Alfred have been refashioned with a system of sidewalks, paths, and street lighting, to promote walking to nearby restaurants, shopping, and recreation areas. Housing values have risen consistently over the years, indicating the stability, attractiveness and safety of the City of Lake Alfred and its neighborhoods. The Downtown area is the heart of Lake Alfred. It has been established south and west of City Hall and Biggars Antiques, has expanded to the east to reclaim the historical center of the City with a cafe and general store. The west area has eat-in restaurants, the new Police, EMS Station and Library. The architecture, street lighting and landscaping make the entire commercial center of Lake Alfred a place of beauty, activity and safety. The area serves as a historical business district, so there are places for outdoor events, sidewalks shaded with trees, wide enough that restaurants overflow outside under awnings and umbrellas. Many major attractions, including Fantasy of Flight, Bok Tower Gardens, and, of course, Walt Disney World, are only minutes away. Legoland, located immediately south of Lake Alfred, has over 50 family rides, "hands-on" attractions and shows that provide education, adventure and fun. Those seeking more information on Polk County attractions can visit 'Outpost 27' Visitors Center, located at 101 Adventure Court, Davenport, FL 33837 (800) 828-7655 or (863) 420-2586 , for concierge services and to receive a special offers booklet. heated swimming pool, tennis courts, a fitness center, private community lakes and more! Kings Pointe is a private 55+ gated community in Lake Alfred, Florida with 229 home sites surrounding a recreation complex and a spacious clubhouse. 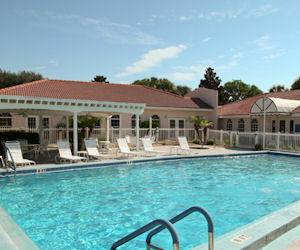 Amenities include a Heated Swimming Pool and Whirlpool Spa, Shuffleboard Courts and community events and activities. Residents can enjoy a great morning of fishing on our private pier on Lake Marianna, a 500-acre freshwater lake located to the west of Kings Pointe.